There is no denying that social media can be both a curse and a blessing. There are numerous example of what can go wrong like bad reviews plaguing social media platforms, an employee posting something inappropriate on the brand’s official account or a post that simply misses the mark. But all these amendable errors are outweighed by the enormous benefits of using a social media strategy for hotels. Here are seven reason why your hotel should use social media! Let the people know who you are! Social media is an amazing way to tell everyone what you stand for since you control the content and craft the image for your hotel! Are you luxury, affordable, high-class, relaxed? However it is that your identity, make sure you display that brand through your photos, videos and other content. This is how you justify the price at checkout. Why is it that a luxury hotel can charge hundreds of dollars for a night while others charge less than one hundred? Show your audience exactly what you are going to give them when they book with you. If you showcase extravagant amenities like a sauna, on-site spa, or prime location you can justify a top dollar price. Otherwise if you are offering a budget-friendly option for travelers looking for an affordable room, show them what they get too. Showcasing your hotel in an accurate light creates realistic expectations for the consumers that may lead to more accurate reviews since the consumer understands what they are purchasing. 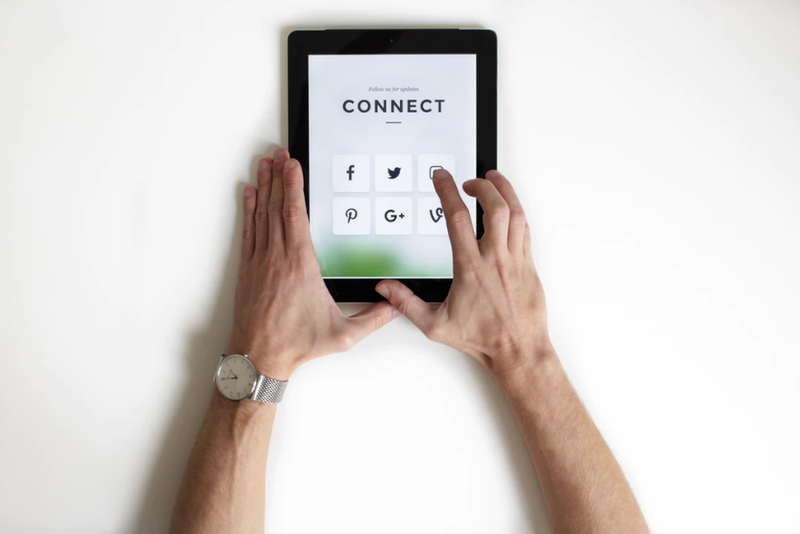 Connecting with your audience on social media may be one of the biggest benefits for your hotel. If you send out appropriate content that resonates with your target audience they may see that you are similar to them and they may be more inclined to book with a hotel that is familiar. With almost 2 billion user worldwide on Facebook, 700 million monthly Instagram users, and 328 million monthly Twitter users there are bound to be people that fit your target audience demographic. You can set up ads targeting specific ages, genders, locations and other demographics to match the type of customer you are looking for! With so many potential leads, you can bet on social media to produce new and loyal customers! Show your audience the benefits they will get from all the features of your hotel. The benefits are what will make their stay better to one degree or another. If you say you have a “central location”, that doesn’t describe the perk for your guest. On the other hand if you describe it as “less than one mile” from a concert venue, theme park or popular restaurants, they can truly see why they will benefit from staying at your centrally located hotel. Another great reason why it’s important to have various social media accounts is that your hotel should not be left behind when it comes to modern technology. By contributing a public face for your hotel, you are telling the world that your are keeping up to date with social media and they can expect the same from your hotel. A great aspect of social media it that you can respond to comments in real time. If someone says that they can’t wait for their vacation to swim in your pool, it’s a good idea to like their post and respond with an equally enthusiastic response. The user will be excited that the official account responded to their post and they will look forward to their experience even before they set foot in your hotel! If there any questions from users you can answers them via social media, and it’s even better if the questions come in the form of a comment because other users will be able to see your response to these questions. If there are any concerns or negative reviews you can even do some damage control in the comments section but choose your battles carefully! It might be a good idea at times to send a private message regarding a specific issue.